As we approach December we always take a look back at the highs and lows of the year. Watersedge has had a stellar year and welcomed a new team member, as well as incorporating children’s counselling, trauma therapy and emotional intelligence into our work. Thanks to you, we’ve also had a productive year online, and we want to share our top 10 blogs with you! Enjoy, and thank you for your support! Do you struggle with anxiety? Did you know that that natural remedies – like consuming tumeric or going outside, can actually help reduce its affect on your life? Find out about more natural remedies that can ease your stress on our blog. If you are one of the 980,000 Australians who tuned in to watch renovation show The Block on weeknights, then you would have seen 46-year-old contestant Spence’s brave confessional about his struggle with depression this season. We look at four things Spence's struggle with depression and anxiety can teach us about the reality of mental illness. Travelling comes with it's own set of unique anxieties; from planning, to budgeting, keeping everyone happy…and let's not start on navigating airports. We unpack eight ways you can practically reduce your travel anxiety next time you holiday. When we are in a toxic environment and are in an unhealthy space, we take on roles that harm the people around us, as well as ourselves. These roles have different names and characteristics. We take a look at six of the common roles our loves ones – and ourselves- may take on as we navigate family conflict. Are you interested in learning more about anxiety and mental health? From professionals to personal stories of triumph, there are some amazing blogs on the internet that can teach you about what it means to live with anxiety. 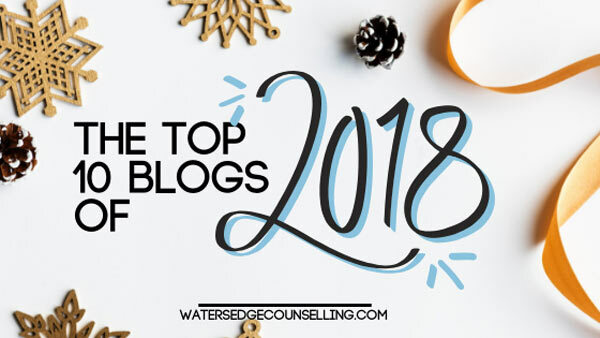 Here are the top anxiety blogs of 2018. They're the change-makers, the culture shifters and the sharers of good news. On this week's blog, we look at 11 influencers who are forces for good online. Follow the link in our profile to read the list, and follow them via the tags. These accounts will change your day (and life) for the better. Everyone experiences grief differently, which is why it's so important to break the myths so many of us believe about it. What were you told about grief? That it was something only females experienced? That it would happen in five stages? That you should be ‘over it' by now? We clear up the lies and gives you some strategies to journey through your own brokenness. We've put together 10 of our favourite quotes about Valentine's, love, singleness, marriage and everything in between. We hope it inspires you to find the beauty in this day. Are you stressed to the max? A new year is about new beginnings, but it's hard to get started when we're stressed out. Our new blog gives you tips on how to cope with stress in everyday life, and includes an awesome infographic by the Foosball zone.